Recycling items that would otherwise be thrown out as trash has many environmental benefits. It reduces the amount of waste deposited in landfills and incinerators (which also reduces pollution), helps save energy, conserves natural resources, and even boosts the economy creating jobs in the recycling and manufacturing industries. Unfortunately, many people don’t recycle because they feel it’s too hard or time-consuming. If you have been wanting to start recycling but are intimidated by the process, here are three simple ways to make recycling easier. Per the National Waste & Recycling Association, every ton of recycled paper saves energy equivalent to 322 gallons of gasoline and every ton of paper created by 100 percent recycled material saves about 24 trees. Pretty amazing, isn’t it? 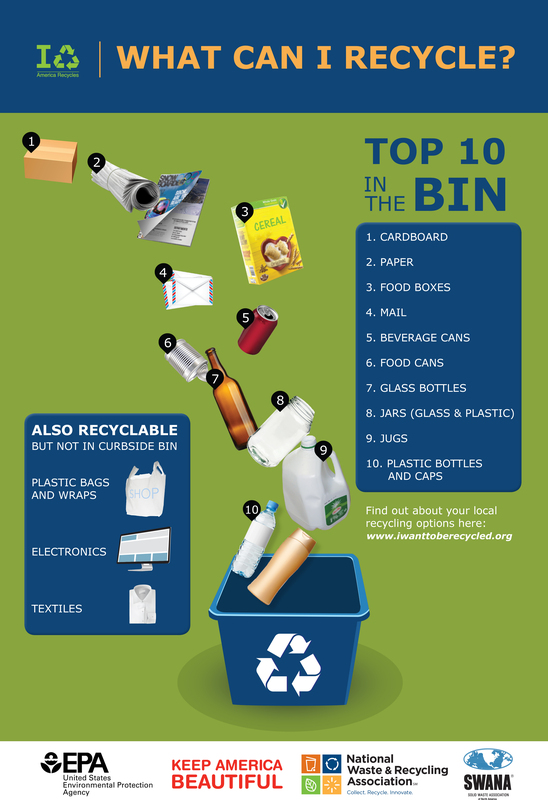 Other recyclables which are not placed in curbside bins are plastic bags and wraps, electronics, and textiles. To get started, you’ll need to locate the recycling center closest to you or contact your city or town’s waste management services or city office for instructions on getting a curbside recycling bin. For specific questions on how to recycle certain kinds of items or getting help finding your nearest recycle center, visit the Keep America Beautiful campaign website at iwanttoberecycled.org. The key to recycling success is creating an easy and manageable collecting and sorting system. Do this by placing clearly labeled collection boxes, bins, or totes in a readily-accessible location like your kitchen or utility room. Determine the number and size of your bins according to how many items you think you or your family will use in a weekly collection period. Tape printed signs on the side or lids of bins or use a bold, permanent marker to label them with common recyclables such as Paper, Plastic, Metal, and Glass, etc. Stack bins vertically or hang them on the wall to save space (making sure everyone can reach them) or put them on casters for easier transport to curbside collection or to hide them out of sight when not in use. Do they accept your item? Have they ever been fined or received violations? Do they have a verifiable record of good environmental commitment and standards? Do they comply with federal and state occupational and environmental safety regulations? Ask them to describe their recycling, reusing and reselling process. Can they provide certification of how they disposed of your item and certification data and storage media was destroyed before disposal?